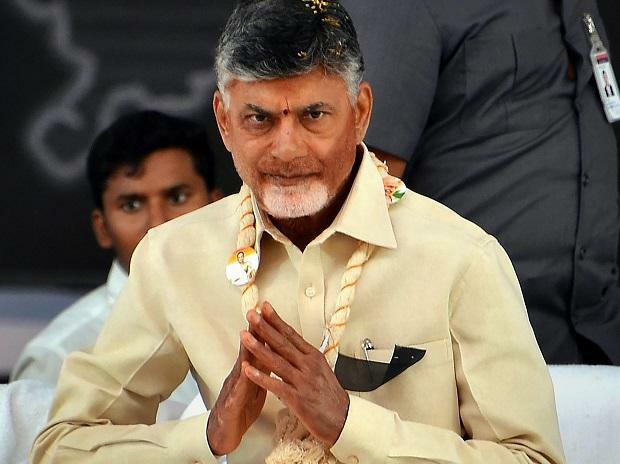 Andhra Pradesh Chief Minister N Chandrababu Naidu has said that Electronic Voting Machine (EVM) is the most vulnerable device as anyone who wants to manage votes can easily tamper it. Talking to ANI, Naidu said, "I am the first person who supports and promotes new innovation, technology and deregulation of the telecommunication sector. EVM is the most vulnerable device as anyone who wants to manage it, they can manage it easily. Most of the developed countries, including Singapore, went for paper ballots, then why not India?" "When you're in the opposition, you may say many things but my stand on EVM has been always consistent. I am always opposing EVMs," the Andhra Pradesh chief minister added on Monday night. Opposition parties led by Congress leader Ghulam Nabi Azad had on Monday visited the Election Commission and requested the poll body to make mandatory the count of half of the votes of all EVMs through paper trails. Talking to media after visiting the poll panel, Azad said, "We had organised an all-party meeting and had decided to go to the Election Commission with our issues regarding EVMs. We have seen in the past that no matter what symbol button is pressed, the vote goes to the BJP." "A lot of scuffles happened due to this reason at different polling stations. We have demanded that be it the Lok Sabha elections or state assembly elections, 50 per cent of votes should be counted through EVMs and 50 per cent of votes must be counted through paper trail and the paper trail must not be destroyed," the Congress leader said. Azad also said that while most political parties were of the opinion that ballot papers should be used for voting, the same demand was not being raised now due to the scarcity of time. "A lot of political parties previously wanted to return to the ballot system but in the further meeting, it was decided that due to paucity of time, ballot paper usage would not be possible. Hence, we are demanding for the maximum transparency in EVMs," Azad said. Sharing the details of their discussion with the top poll body, Azad said: "The Election Commission has assured that some committee has been formed and after its report comes, it will be published before the elections. We, however, are of the view that any action should not only be on the recommendation of the technical committee because they only look for technical aspects whereas in the field what machines work or not is only known to political parties." Azad was accompanied by the Andhra Pradesh chief minister, BSP leader Satish Chandra Mishra, Samajwadi Party leader Ramgopal Yadav and CPI leader D Raja, among others. After the meeting, Naidu said, "To bring transparency to the election process we should go back to the paper ballot but due to time constraint, we are demanding that 50 per cent of VVPATs should be counted at random and be tallied with EVMs."